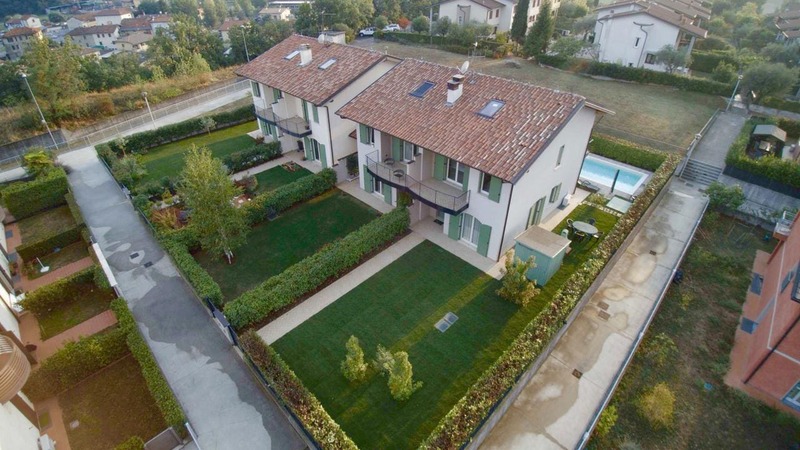 The Salò is a 3-floor villa with private outdoor pool in Salò, on the shores of Lake Garda. The house offers a garden, sun terrace and free Wi-Fi throughout. The villa has both air conditioning and central heating.The living room features a flat-screen TV with satellite channels, and floor-to-ceiling windows overlooking the garden. The spacious master bedroom includes an en suite bathroom with jacuzzi and individual terrace. There is an additional bathroom with shower for the other two bedrooms, and a guest bathroom on the ground floor. Villa Salò is a 30-minute drive from Verona Airport. Parking is in the villa's underground garage.